Mairi Anna NicUalraig agus Seàn O hEanaigh le ceòl à Alba 's Èirinn bho leithid Na Whistlebinkies, Paul Dooley agus Man's Ruin. Music from Scotland and Ireland. Mairi Anna NicUalraig agus Seàn O hEanaigh le ceòl à Alba 's Èirinn bho leithid Na Whistlebinkies, Paul Dooley, Aiden O' Rourke, Virginia Stevenson agus an còmhlan Albanach, Man's Ruin. 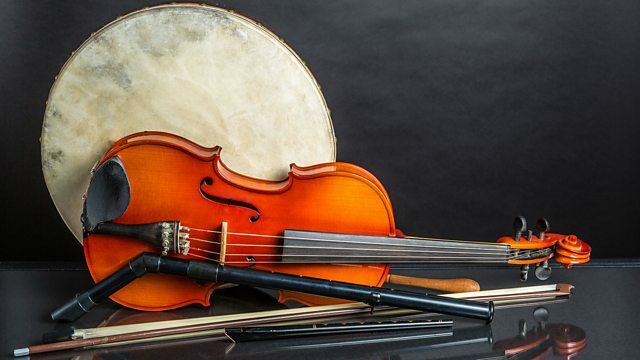 Mary Ann Kennedy and Seàn O hEanaigh present music from Scotland and Ireland including tracks from the Whistlebinkies, Paul Dooley, Aiden O' Rourke, Virginia Stevenson and Scottish folk band Man's Ruin. ALL IN A DAY'S PLAY.